The State Department heralded the announcement as a historic event. The U.S. reopened a permanent diplomatic facility in Somalia on Sunday, nearly 28 years after shuttering its embassy in Mogadishu as the country collapsed into civil war. 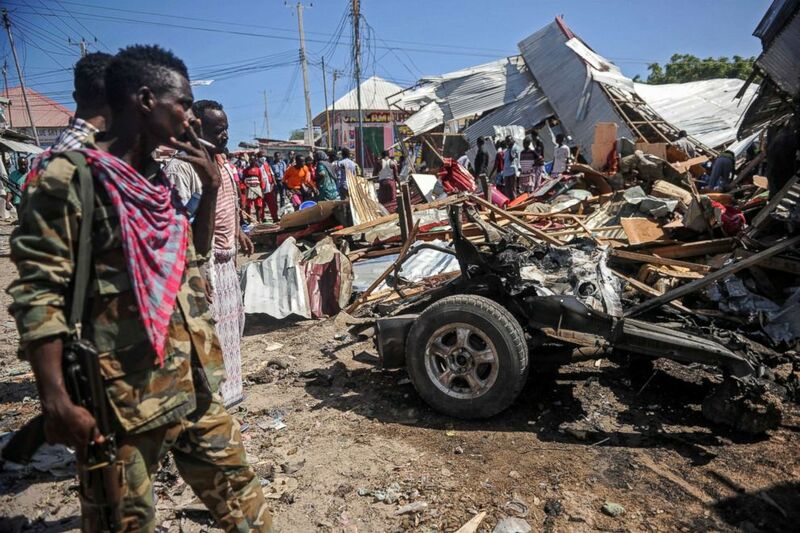 (AFP/Getty Images, FILE) People gather by the site of a blast after a car bomb detonated at a busy market in the capital Mogadishu, Somalia, Nov. 26, 2018. 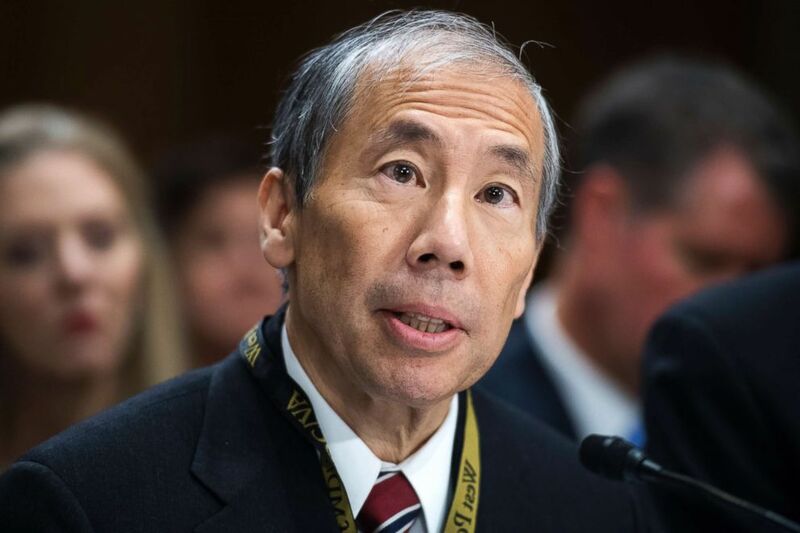 (Tom Williams/Getty Images) Donald Yamamoto, nominee to be U.S. ambassador to Somalia, testifies during a Senate Foreign Relations Committee confirmation hearing in Dirksen Building, Aug. 23, 2018. There are U.S. forces are on the ground training and advising the Somalis and African Union troops and the violence occasionally hits them, too. A U.S. soldier was killed and four others wounded in a firefight with al-Shabab in June -- only the second death there since the "Black Hawk Down" incident in 1993, where 18 service members died. 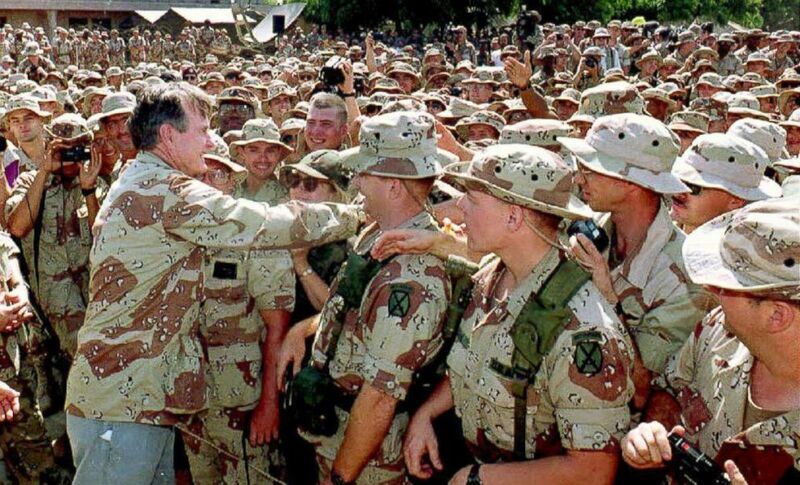 (AFP/Getty Images) President George Bush reaches out to shakes hands with Marines gathered at the U.S. Embassy, Dec. 31, 1992. ABC News's Lee Ferran contributed to this report from Washington.